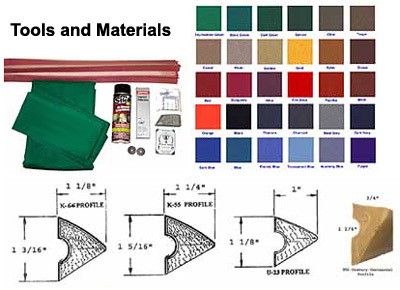 Before you get starting refelting your pool table you should make sure you have everything you need to finish the job, specifically tools and materials. Once you get to work, there’s nothing worse than get stuck and have to stop just because you didn’t have everything you needed. I know! Those of us that love to shoot pool can’t wait to play on a newly recovered pool table and try out that cloth! I would recommend that you do your research on the felt you want to use including color and material. Our table was covered in your every-day-green-felt but we decided to change it up and go with electric blue speed cloth. A lot of people love speed cloth but I have to say, if you play a lot, you’re better off going with something stronger and longer lasting. We were slightly disappointed in what seemed like a short-lived expensive cloth. It was a good looking table though!! For a selection of pool table felt, check out these deals >> Green | Blue | Red | Light Gray | Navy Blue | Black | Purple | Even More Colors!